Duluth, Minnesota’s new breweries have been credited with helping spark a revival in this lovely town at the tip of Lake Superior. I discovered on a recent visit that this wasn’t the first time a brewery had helped the town get back on its feet. I was in Duluth over the weekend speaking at the industry conference that precedes the All Pints North beer fest. On Friday, I did a quick search to find out which breweries served lunch and then set my compass to point me to Fitger’s, a brewpub founded in the mid-90s. Duluth (population 86,000), for those who haven’t visited, is at the tip of Lake Superior, the westernmost point of all the Great Lakes. It’s possible to set sail from Duluth and travel 2,342 miles to the Atlantic. The town is characteristically midwestern, with large brick buildings placed on a sensible grid, a testament to 20th century industrial prosperity. It’s also a port town on what feels more like an ocean than a lake (complete with squawking gulls), with wide vistas out across the blue expanse. It is a great walking city, and I was enjoying the scenery as I rounded the edge of the lake and saw this sight. A smokestack? In Europe, where beer companies still occupy their old brewery buildings, smokestacks are as visible a marker in town as a church steeple (and the two institutions often occupy the biggest buildings). But no one has built a smokestack since electricity replaced coal, so what was I looking at? Fitger’s, it turns out, was once a much larger brewery and one of the key anchor businesses in the town, with a history dating all the way back to near the city’s founding. The modern incarnation has a decent history on its webpage, which recounts the important milestones of the brewery. Old photos have been made into wall murals. I found all of this remarkable in light of a book I recently discussed, Jim and Deb Fallows’ Our Towns. They recount in that book the way in which breweries become engines of local and community growth. In the thriving small towns they visited, they noticed how breweries were often at least proximal to their revivals. They couldn’t mention a brewery in every town, so they selected one acute example as a representative. The city? Duluth. Soon after our visit to Bent Paddle and my mention of it on The Atlantic‘s website, a Duluth native named Peter Hatinen wrote in to explain the part it had played in what he viewed as the spread of the city’s revival to long-neglected parts of town. They restrained their discussion to this sole brewery, though stories like the one they tell are so common you could repeat it a hundred times, with examples from different communities. What struck me was that this isn’t a craft beer phenomenon—it’s a beer phenomenon. It has always been the case that towns with breweries, whether robust craft breweries like in Bend, New Glarus, or Tampa, or older European breweries like those in Kelheim or Bury St. Edmunds provide all the benefits Fallows describes. Breweries have always been knitted into communities like this, serving as a hub of commercial activity around which other businesses might gather, and acting as a community gathering point—one of those “third spaces” critical to community health. The parallelism of the examples, though, 19th century Fitger’s and 21st century Bent Paddle, brings this home quite nicely. My own home town has a similar kind of continuity, with Henry Weinhard's brewery, founded just a few years after the town, lasted until it could hand off the baton to a new generation 150 years later. There's a slightly different flavor to the modern era, though--or perhaps we should say a return to an older flavor. The old American breweries of the 19th century were products of the industrial age. 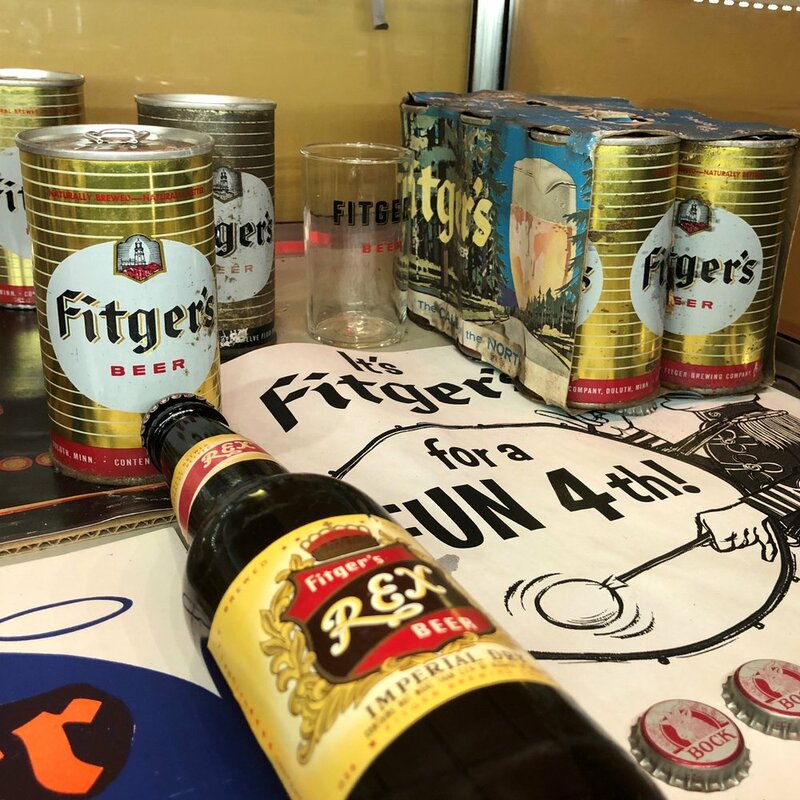 They were built to the size of Fitger's because mechanization and distribution made it cheaper to streamline and commodify products like beer. It grew so big because it won a competition to serve the region. (And ultimately lost when the competition turned national.) Before that age, towns had multiple breweries--sometimes scores of them. They were required to serve the thirst of the population. When I sat down at Fitger's, I ended up getting a hazy IPA (my first choice, a lager, was spiced) and talking to the bartender about it. I asked what the trends were in Duluth--were hazies becoming popular. He began rattling off all the hazy IPAs he knew of in the city, mentioning four or five local breweries. As we continued to talk, the conversation took this form. He was aware of what each brewery was doing. For centuries, this was the typical process. People knew what breweries were doing locally; what they did the town or province or country over was immaterial; you couldn't get those beers anyway. From this insular focus arose beer styles, which differed, sometimes substantially, from town to town. Duluth's beer scene is only a few years old, and they're still following national trends like everyone else. But this knowledge of and attention to local beer will one day bear fruit, giving the town its own character.